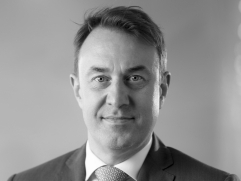 Tom De Geytere is Chief Sales Officer for AJW Group. His primary task is to oversee the development of the organisation’s Part Sales & Support and Engines’ divisions. 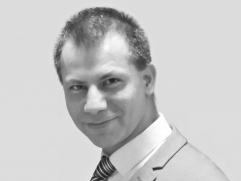 In addition to this he is responsible for growing business in Asia, Africa, the Middle East and the CIS through the development of unique solutions to suit the creative and diverse business models of airlines, lessors and OEM’s. Extensive industry experience enables Tom to provide a holistic view of the airline value chain. This has been honed by executive positions in Asian and European airlines in the fields of advisory services and business development for start-ups and legacy carriers. Previously Tom was CEO at Air Via, responsible for restructuring the loss-making Bulgarian charter airline. In tandem with this role, he consulted on a variety of projects globally and across cargo, legacy and start-up airlines. Before that, he undertook a number of senior roles with Cargolux Airlines rising from business analyst to internal auditor, and ultimately adviser to the President and CEO on business development and organisational engineering. Tom is fluent in English, French, Dutch and conversational German. He has an MBA and has served in the Belgian Airforce as an officer and pilot. Anupreet Singh has been with AJW since 2006. 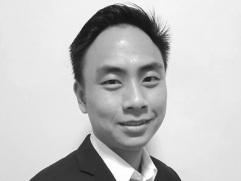 He moved from AJW UK sales team in mid-2014 to take up the position of Operations Manager Asia-Pacific and is based in the AJW Singapore office. Anupreet is responsible for developing sales opportunities as well as maintaining current business relationships - he is the main point of contact for all AJW’s customers throughout the region. In addition to co-ordinating AJW’s operational support for airlines, Anupreet also manages internal/external audits, AJW’s warehouse stock inventory, and the IT infrastructure of the Singapore office. He is the appointed quality representative of AJW in the Asia Pacific region, responsible for new staff training programmes and company records. Anupreet is a member of the Ministry of Labour India for Industrial Training &Trading Division. Tony Shen is Director of Engines - Asia for AJW and is based in Shanghai. His role is to develop the breadth and penetration of the organisation’s engine services across China. He enables AJW to offer independent expertise and support across: Fan Blade Exchanges, Engine Material Recovery Programme (CFM56-5B, -7B, GE90), Engine Rebuild & End of life Solutions, Whole Engine Sale and Lease, Engine Management & Technical Services, Engine Part-Out & Consignment, Engine Inventory Consignment, and Ad Hoc Parts Sales. Prior to achieving his MBA at the Cheung Kong Graduate School of Business (Beijing), Tony worked for Rolls-Royce for eight years where he was most recently Service Business Manager, Civil Aerospace, Rolls-Royce plc. (UK) with responsibility for all Rolls-Royce Airbus A380 engine aftermarket power-by-the-hour budget planning, revenue forecasting, competitor analysis for marketing and business evaluation for sales campaigns, and lease engine asset pricing for all Rolls-Royce’s large civil aero engines. He holds a Bachelor & Master Degree in Aeronautical Engineering, Imperial College, London; he is a CEng, Chartered Aeronautical Engineer, Royal Aeronautical Society (RAeS); and a Senior Certified Aircraft Appraiser (National Aircraft Appraisers Association US). Jason joined AJW in 2016 as a Technical Services Engineer before being swiftly promoted to Technical Sales Manager, where he acted as technical point of contact for airline customers in the Asia Pacific region. 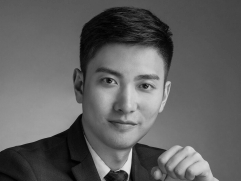 Holding a degree in Engineering and a Masters in Business Administration, Jason’s 7 years’ experience in the aviation industry began with various engineering roles at NORDAM where he had a pivotal role in setting up their Part 21 Design Approval facility in Singapore. After this he worked at Airbus Services managing the reliability of their A320 fleet in Asia. In 2017 Jason was appointed Business Development Manager, and is now responsible for the development of sales opportunities and customer relations across the Asia Pacific region.